A skincare pioneer since the early 1970’s, BIODERMA's philosophy revolves around the study of healthy skin. How it functions, learning to speak its language to try and understand the skin as well as possible because only then are you able to really give the skin what it needs to be healthy. Formulated for sensitive skin and based on the idea that a product should not take over the skin’s job but should help the skin to do its job better, BIODERMA has developed patented formulas that use the skin’s natural biology, helping it to resist, recover and improve so it can function again like healthy skin would. BIODERMA fully respect the skin, ensuring all formulas are created with the purest active ingredients, to help preserve, activate or restore the skin’s natural functions. Sensibio: Developed specifically for sensitive skin, to help comfort and soothe irritated skin. Atoderm: Made for very dry to atopic sensitive skin, this range helps to restore the hydrolipidic film of skin that is severely lacking moisture. Sebium: If you suffer from acne-prone skin, this range is for you. Sebium works to treat oily, blemished skin to help clear and purify the complexion. 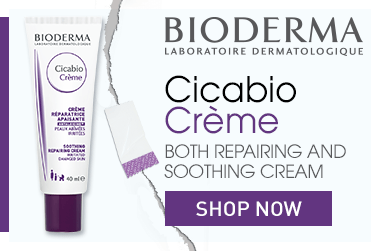 Cicabio: Protect and heal damaged skin with this range. Cicabio helps to restructure skin that is damaged, and protect it against environmental stressors. Bioderma’s hero product, Sensibio - a non-rinse cleanser and make-up removing water - has become a staple model over the years among make-up artists and celebrities and is regularly granted awards worldwide by professionals. Used to cleanse fake eyelashes without damaging the glue. Adore Beauty is an official stockist of BIODERMA, with free express post throughout Australia. Showing 20 products of 27. I love this serum. It is very light but very hydrating. My skin gets congested very easily if I use anything too heavy but it is also dehydrated, so this perfect. My skin is also very sensitive and breaks out easily and this hasn't irritated it or made it break out. It is quite expensive but you don't need much so hopefully it should last a while. LIVES UP TO THE HYPE!!! LOVE! I have been using for a few years now and honestly could not be without it. I have sensitive skin and find this product to be super gentle and not drying at all. I use this product after I have cleansed or before I apply makeup to get whatever may remain and ensure my skin is thoroughly clean. Certainly did not disappoint!! I love the new pump bottle also! I discovered this product one year ago and cannot turn back. Everytime I run out of it and use something else for a few days I realise a difference in my skin. It is definitely worth the price! !